Welcome to my first post of the new year . . . and my first meme of 2018 . . . hosted by the amazing Sheila at Book Journey. 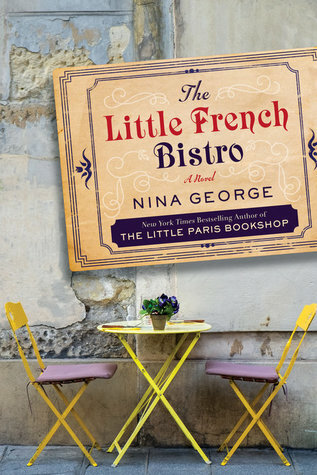 My first book of the year is The Little French Bistro by Nina George . . . This is also my first book club book of the year. 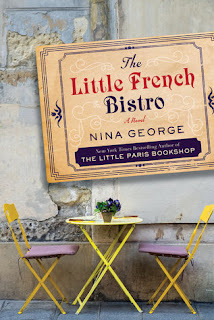 The group has read and enjoyed the author's previous novel, The Little Paris Bookshop, and all but one of us took a trip to Paris together a few years ago. It will be fun to revisit France in our reading. I wish all of of you a new year filled with health, happiness, dreams come true and, of course, good books! 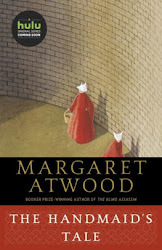 First Book of the Year 2018 was originally written and published by Catherine for bookclublibrarian.com and cannot be republished without attribution. Retweeting and sharing on Google+ are appreciated.